I guess the only thing for me to say is … yaaaaaaay. Ok, well I’ll add something constructive… I love your insightful and honest views on technology, life the universe and everything… But I have to admit that even I switched off somewhere around episode 100 of Ihnatko Almanac as there was just no editing, neither in content or conversation. The reality is that there are so many new and great podcasts coming out every day that this hands on father of 5 year old twins…..I just HAVE to be more selective. 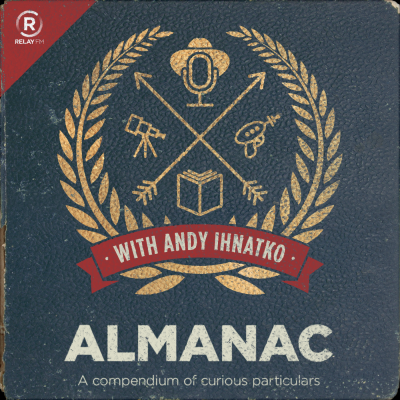 I’m more than glad to give Almanac a go on my roster. Delighted your almanacing again Andy (is that a word? ), I’m baffled by the subtle difference between “The Ihnatko Almanac” with Dan and “Almanac” with Myke, but what the hey: Stickles are random and it’s a two-bounce ubique. I’m happy to subscribe to this new show! Thank you for bravely sharing your raw, honest, self. I will look forward to future episodes, but the premiere was wonderful, and helpful. Thank you. Thank you for this Andy !! I need this in my life now, after the nightmares I am having imagining the presidency of Donald Trump. Indeed you sir, are an imperfect vessel for the work of the Gods. I am overjoyed to hear thoughts and contemplations once again. Your work has been of the highest caliber over the years. I thank you and will gladly buy you one burrito of the highest quality if the opportunity presents itself. Episode 1 was fantastic! I’ve been a fan of your writing for a long time now and I’m happy to subscribe to your new podcast. Congratulations on your new podcast, Andy. I’ve been a huge fan since you published your book on Mac OS X Tiger. Thanks for all the work you do to make our digital experience a pleasant one. If you’re looking for additional distribution outlets, we would love to host your podcast at RadioYo for free. We’re in beta but our platform is stable and we’re adding features on a monthly basis. You can either host your show live or upload prerecorded episodes. Plus, you can even sell your episodes if you so desire.